We’re thrilled to announce our community farm stand is returning this season, and has added a second location! 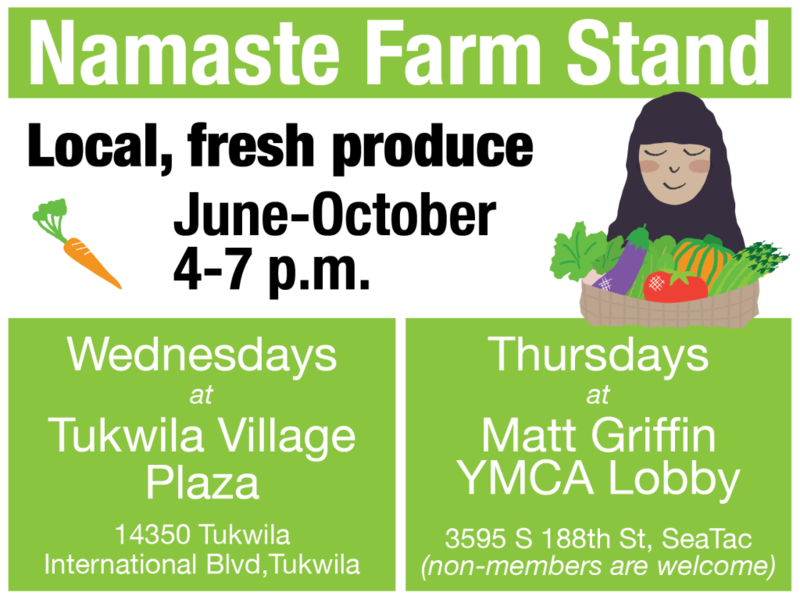 We will host Namaste Farm Stand weekly at two locations: Matt Griffin YMCA in SeaTac and the new Tukwila Village Plaza near the Tukwila Library. Last year, FIN and our partner, International Rescue Committee’s New Roots program, hosted a farm stand for 10 weeks at the Matt Griffin YMCA, and the local fresh fruits and vegetables for sale were a hit. This year we’re excited to double the length of our season, now running June through October, and also add the Tukwila location. 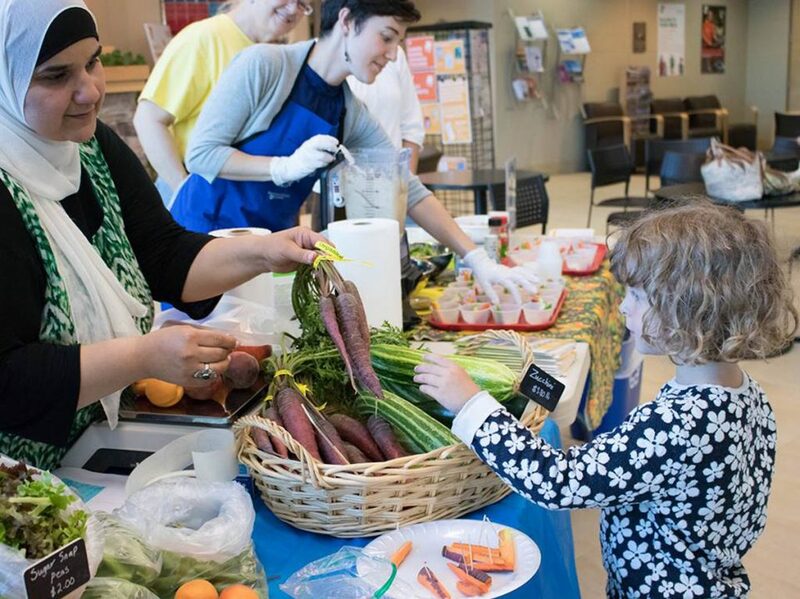 Namaste Farm Stand will sell fruits and vegetables from local producers including IRC New Roots’s Community Garden (Tukwila), Faith Beyond Farms (Enumclaw), and Collins Family Orchard (Selah). Each week we’ll do a cooking demo showing ways to prepare and cook the variety of produce for sale. We are fortunate to have great partners and funders in making this project happen. FIN and IRC New Roots would like to thank: City of Tukwila, Kona Kai, Communities of Opportunity, Les Dames d’ Escoffier, Matt Griffin YMCA, SHAG, and WSU Extension. Please join us for the Grand Opening at the Tukwila Village Plaza on Wednesday, June 13 from 4-7 p.m. We’ll have fresh produce for sale, as well as kids’ activities, cooking demonstrations, raffles, and live international music.